100% pure beeswax foundations with the right cells size and shape and one of the key components for productive beekeeping and bees that feel good in their homes – the beehive. Selecting only the highest quality beeswax is essential in our everyday operations related to production of beeswax foundations for our clients. 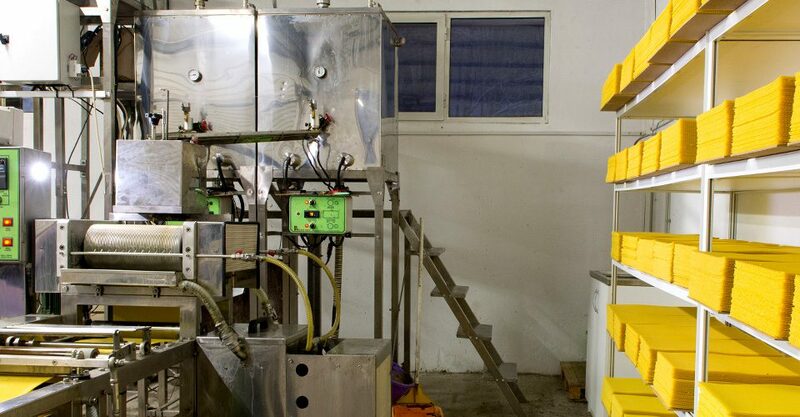 The quality of the beeswax foundations is in direct correlation with colony’s productivity index, that’s why we follow strict rules and test each batch of beeswax before it is being processed. Each batch of beeswax passes through a disinfection phase in a specialized autoclave to destroy any possible spores of microorganisms and bacteria. The process is similar to the pasteurization and includes heating the beeswax at temperature of 120 degrees for 5 minutes. Electronic controllers are used to monitor both the temperature and the time. This guarantees that the beeswax will preserve at 100% its chemical composition and quality. 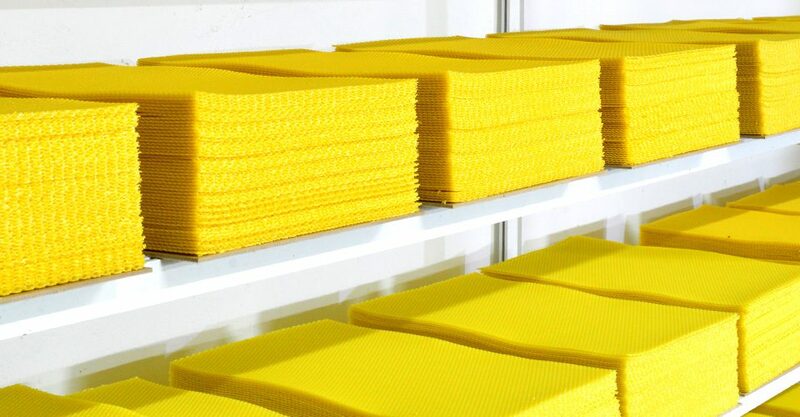 Thanks to precision rollers, the melted beeswax is formed in a high density, deep and uniform relief. The size and shape of the cell are identical to the cells that the bees build in the beehive, which guarantees instant acceptance in the honeybee hive and rapid comb building. The cell size of the foundations is 5.35mm and the thickness of the foundation is between 1.25 and 1.30mm. At Mateev SC, we have developed special tools to wire beeswax foundations for extra strength and stability. Wired foundations require special types of frames that allows the hooks to be secured at the top or bottom of the frame. Beeswax foundations are finally expected, packed in carton boxes and prepared for shipment across Europe.